"The fixture provides 100% glare-free light. 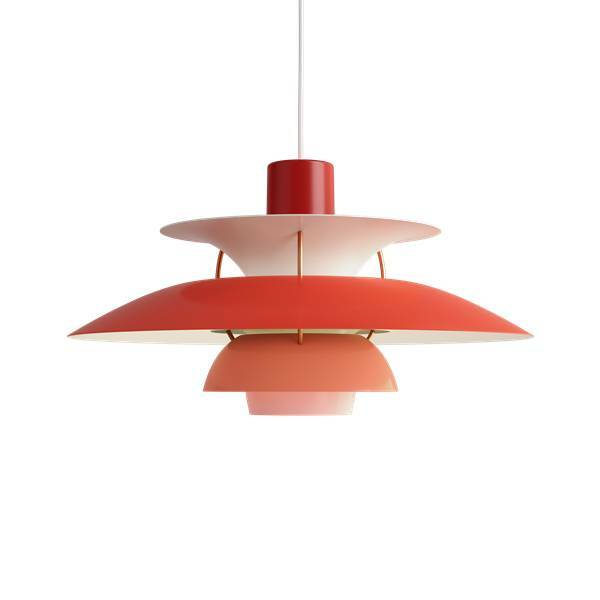 Poul Henningsen developed the PH 5 in 1958 as a follow-up to his celebrated three-shade system. 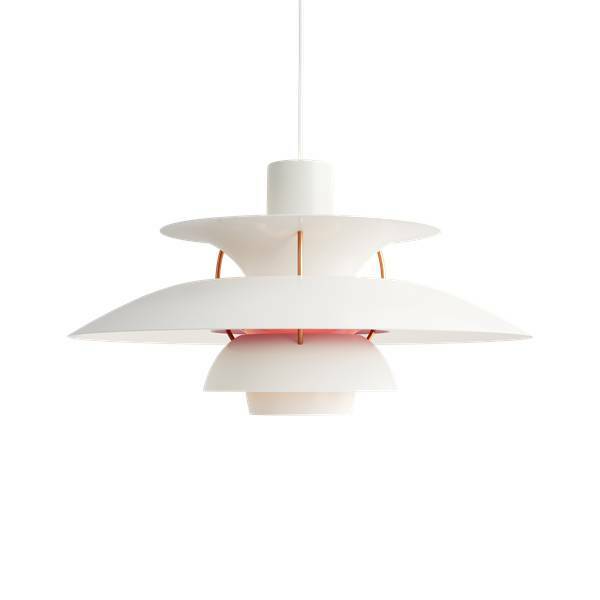 The fixture emits both downward and lateral light, thus illuminating itself. In the PH 5 Classic, a warmer tone of light is created by the inside red cone and a small blue reflector. "